This traditional Quee Anne Fireside Chair offers excellent head, neck and lumbar support. It features a fully sprung platform, luxury tapered seat cushion and an inviting back cushion that will provide the user with hours of comfortable relaxation. The seat cushions are reversible for even wear and removable for easy cleaning. 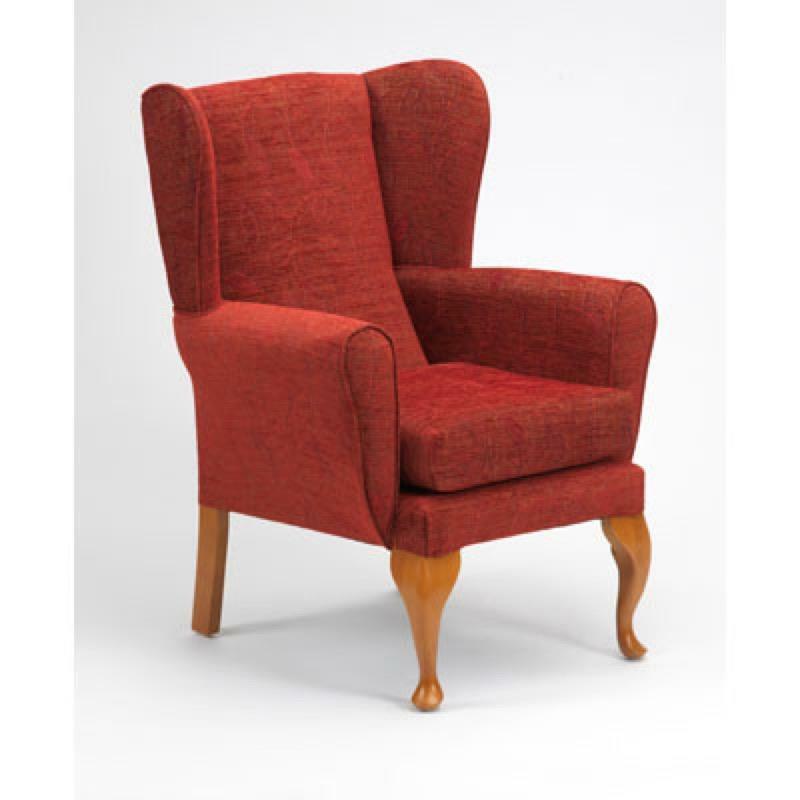 The hardwood frame offers maximum stability and the high back and elegant padded wings provide extra support, comfort and protection against draughts.